Tips: You can share Exp while teaming with other players, however those on your friends list won't share this part of Exp. After gaining Exp from a friend you can follow the instructions listed below. 1. 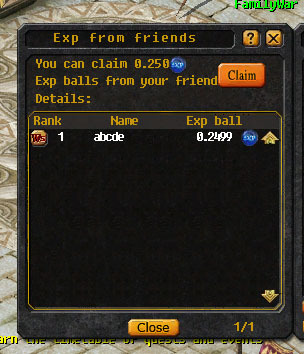 Click on "Mentor Exp" icon at bottom, or click on "Claim Exp" above your friend list to open the Exp claim window. 2. 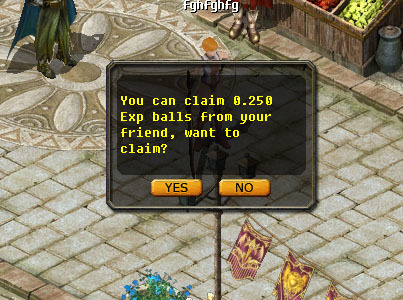 Click "Claim" to get Exp from your friend. 3. After claiming Exp you will recieve a system message, and will see your Exp increase on your Exp bar. 4. If you log off before claiming your Exp from a friend, a system message will remind you. 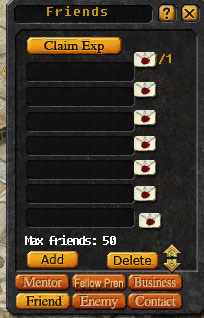 Unclaimed Exp will accumulate until claimed.